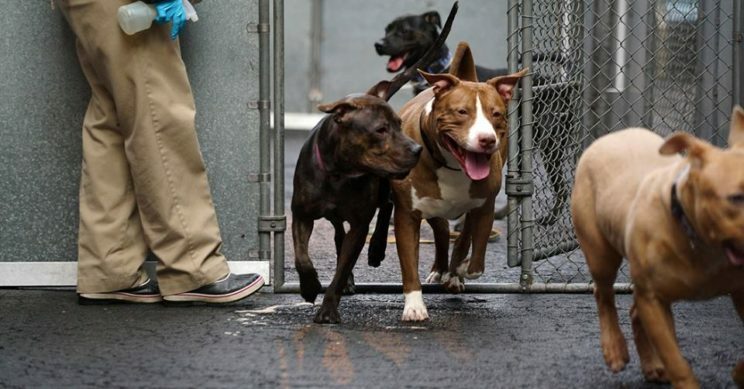 New York City’s Department of Health & Mental Hygiene (Department) is proposing a 30+ year contract with its own subsidiary, Animal Care Centers of NYC (ACC). Although the Department continues to maintain the fiction that ACC is an independent non-profit, it admits it was “established by the City of New York.” Specifically, it was created by the Giuliani administration, has a singular mission of running animal control for the City, operates under city-owned and controlled facilities, and has a governing structure dominated by the City. While ACC was formed as a 501(c)(3) not-for-profit corporation, it operates as a de facto government agency; it is controlled by the Mayor and Health Commissioner. The new 34-year contract is being pushed through with minimal input from the public, despite the fact that it will affect hundreds of thousands of animals and the Department proposes to pay itself over $1 billion ($1,487,966,471.00) of the public’s money to continue running the pound under current practices. Copies have not been made available electronically for review and comment and even city council members admit they have not been allowed to see it. If approved, the new contract would maintain archaic policies until 2052. In addition to these procedural shortcomings, to the extent that the new contract follows existing ones, there are substantive deficits as well. These include provisions that hamper animal protection, such as putting the leadership and staff of ACC under a “gag” order, preventing them from speaking to the press without prior approval of the Department, limiting who can rescue animals from ACC to those sanctioned by the “Mayor’s Alliance” (which is not connected to the Mayor’s Office despite its misleading name and not accountable to the taxpayers), and maintaining the power of the Department to reject innovation in the rehabilitation and placement of animals who may have health or behavior impediments. When it comes to protecting animals, by contrast, the existing contract is notoriously vague, such as only requiring pre-killing sedation “when necessary” (which is undefined) and suggesting that the pound make “reasonable effort to place animals for adoption” which is also undefined and unenforceable. Finally, we propose that the contract include annual, or at the very least biennial, independent audits and compliance with the deficits uncovered in those audits. For example, we have been receiving reports of escalating illness, including pneumonia, and that rescue groups pulling sick animals are receiving expired medications, indicating that the shortcomings identified in the 2015 audit by the City Comptroller have not been resolved. Mayor de Blasio, as the operation of the animal shelter and care of the animals is the people’s business, is paid for by the people, must be accountable to the people, and should reflect the people’s values, taxpayers and community members not only have a right to have their government spend tax money on programs and services whose purpose is to save and enhance the lives of all animals, but they have the right to full and complete disclosure about how their animal shelters operate. The process of enacting a new contract should not be done, as it currently is, without a commitment—both procedurally and substantively—to transparency, public access, humane policies, progressive practices, and maximizing lifesaving.